What better place to watch the Ultimate Basketball Tournament than surrounded by millions of dollars’ worth of Ultimate Driving Machines, with a chance to win up to $1 MILLION? Enjoy catered food and beverage, spirits, BMW merchandise available, Golden State Warriors vs. Minnesota Timberwolves on the big screen, bracket advice from Joe & Damon, 100s of Ultimate Driving Machines on display including i8s, M Performance cars at Northern CA’s only BMW M Performance Center, the all-new 8 Series, the newly redesigned 2019 3 Series, and more! 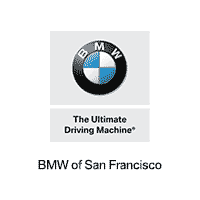 10 BMW of San Francisco customers who fill out their bracket will be chosen to watch the championship game at a private party at the 95.7 The Game Studios! *Must be 21 with valid CA Driver’s License or ID to enter. No purchase necessary to enter or win. Purchase does not increase your chance of winning. Event attendance not required to enter or win. All entries are ONLY online at bmwsf.com. Entry deadline 6:59 AM PST, Thursday, March 21, 2019. Complete Official Contest Rules at the store and at bmwsf.com.